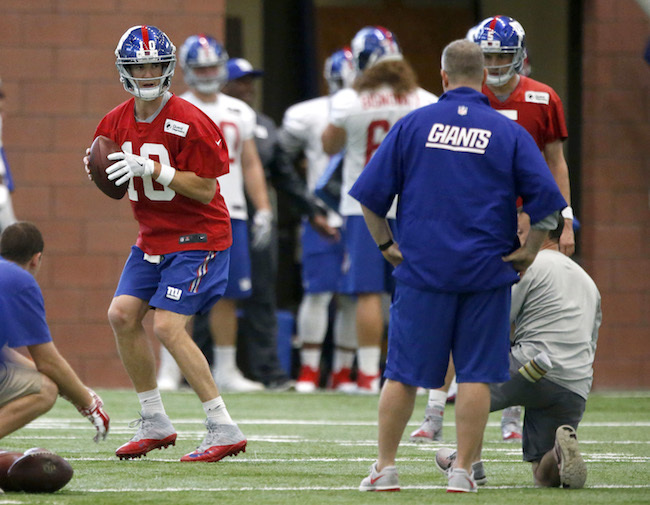 The Giants held their tenth and final voluntary organized team activity (OTA) practice on Friday. No live contact is permitted during OTAs, but 7-on-7, 9-on-7, and 11-on-11 drills are allowed. A mandatory mini-camp will be held on June 13-15. Wide receiver Kevin Norwood (unknown), tight end Rhett Ellison (calf), cornerback Eli Apple (hamstring), cornerback Donte Deayon (unknown), linebacker J.T. Thomas (recovering from torn ACL), and safety Mykkele Thompson (unknown) did not practice. Wide receiver Kevin Snead appeared to injure his left hamstring during practice. 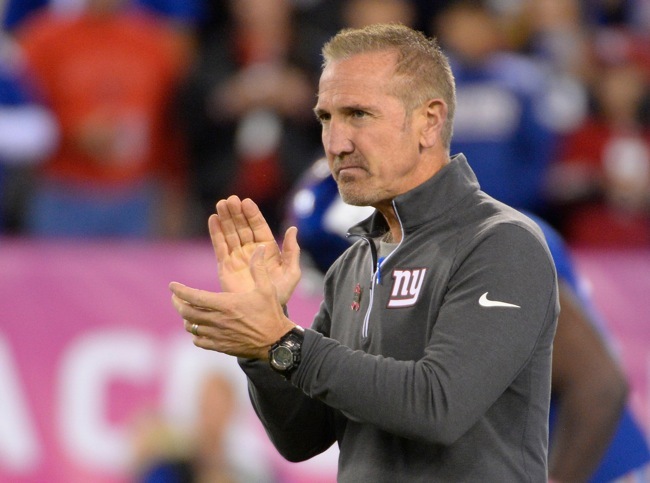 Wide receiver Odell Beckham, Jr., left guard Justin Pugh, right tackle Bobby Hart, defensive end Olivier Vernon, and defensive end Owamagbe Odighizuwa were no-shows for the voluntary OTA. 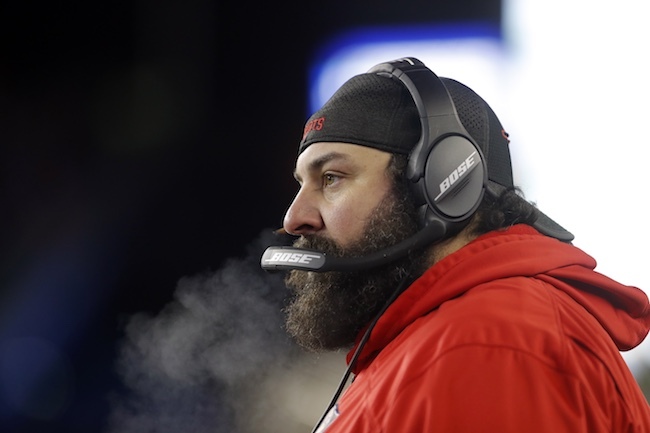 With Justin Pugh and Bobby Hart absent, the first-team offensive line consisted of left tackle Ereck Flowers, left guard Adam Gettis, center Weston Richburg, right guard John Jerry, and right tackle Adam Bisnowaty. Defensive tackle Jarron Jones was working with the offensive linemen. 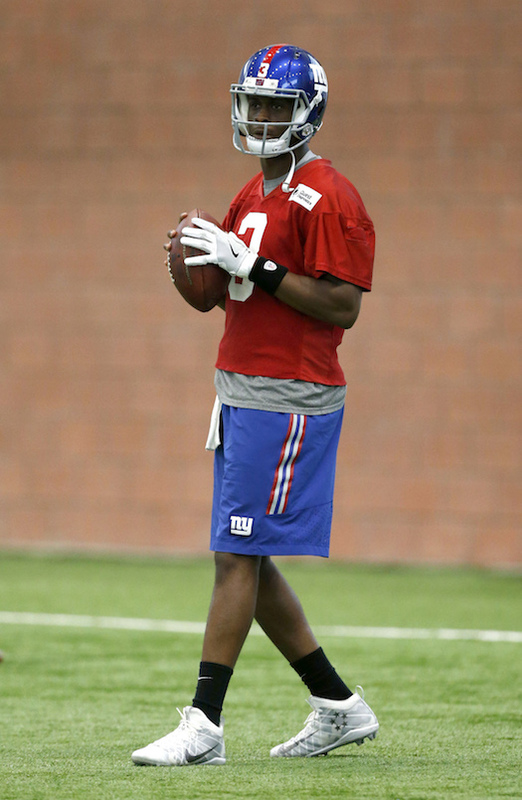 Quarterback Geno Smith hit tight end Evan Engram in the back of the end zone for a touchdown. Safety Ryan Murphy came up with the first interception of practice off of a deflected pass. Quarterback Davis Webb hit wide receiver Kevin Snead deep down the left sideline, but Snead appeared to injure his left hamstring on the play. 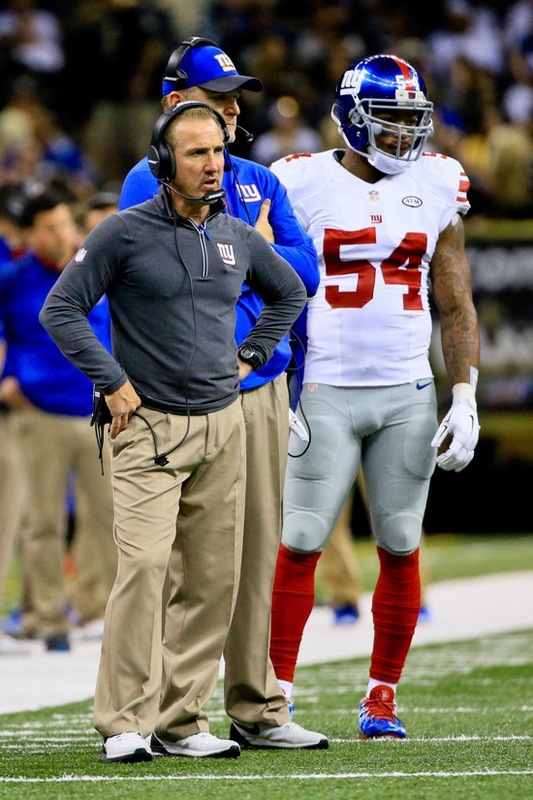 With Eli Apple out, Michael Hunter continued to see first-team reps at cornerback. Biggest positive for me today at #Giants final OTA practice so far is how well Darian Thompson is moving. Defensive end Jason Pierre-Paul (core muscle), linebacker Mark Herzlich (concussion), and safety Nat Berhe (concussion) have officially been ruled out of Sunday night’s game against the Dallas Cowboys. 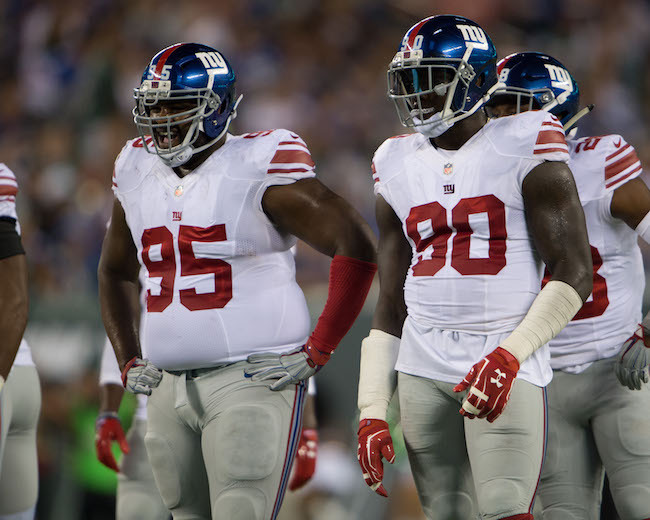 Defensive end Owa Odighizuwa (knee), defensive tackle Johnathan Hankins (quadriceps), cornerback Coty Sensabaugh (ribs), left guard Justin Pugh (knee), and wide receiver/returner Dwayne Harris (ankle) are “questionable” for the game. 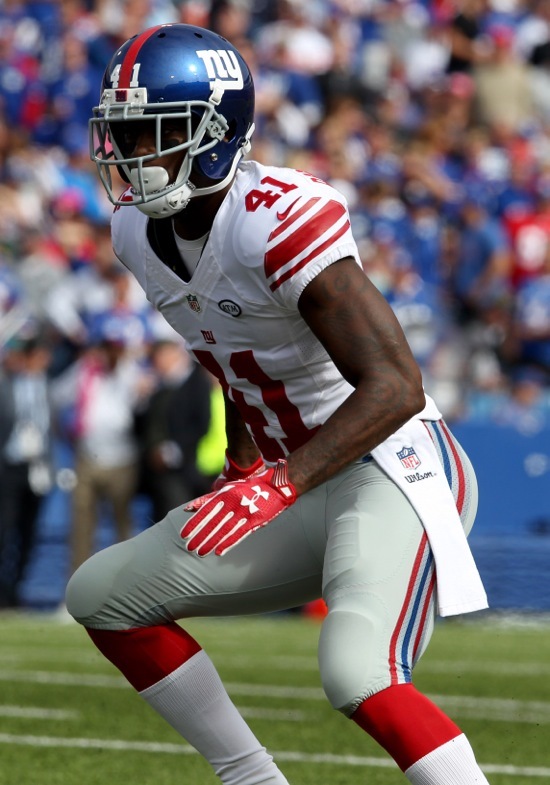 Tight end Larry Donnell (illness) is “probable” for the game. 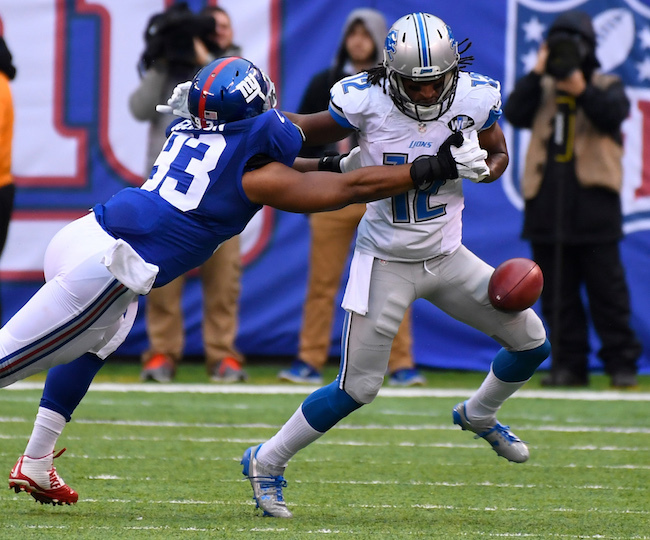 The Giants have until 4:00PM on Saturday to decide whether or not they want to active running back Shane Vereen (triceps) from Injured Reserve. There is no press availability to the team on Saturday. The Giants play the Dallas Cowboys at home on Sunday night at 8:30PM ET. Safety Darian Thompson (foot), safety Nat Berhe (concussion), tight end Larry Donnell (concussion), and offensive tackle Marshall Newhouse (calf) have officially been ruled out of the game against the Green Bay Packers on Sunday night. 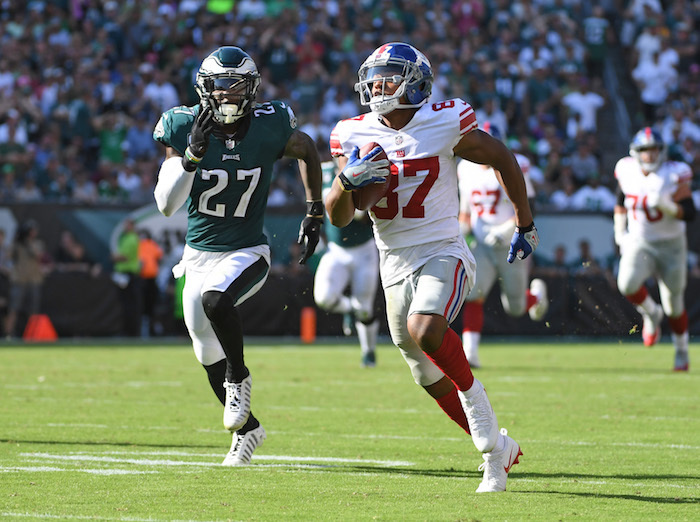 Cornerback Dominique Rodgers-Cromartie (groin), cornerback Eli Apple (hamstring), and running back Rashad Jennings (thumb) are “questionable” for the game. 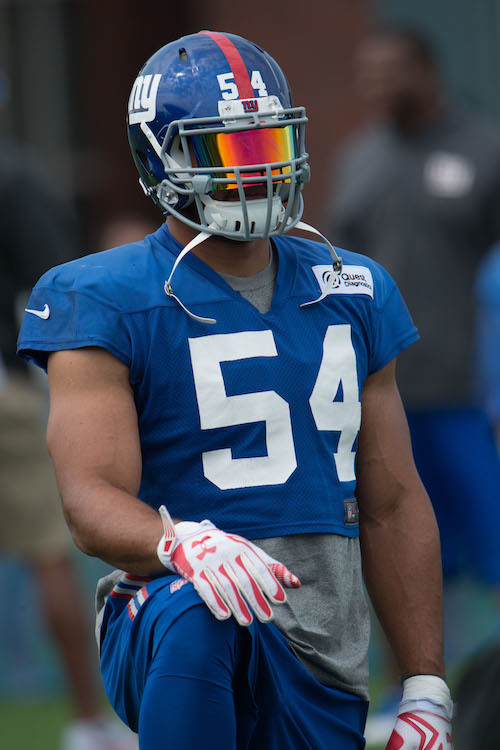 Defensive end Olivier Vernon (wrist) and defensive tackle Robert Thomas (illness) are “probable” for the game. There is no press availability to the team on Saturday. The Giants travel to Wisconsin on Saturday to play the Green Bay Packers on Sunday night at 8:30PM ET.